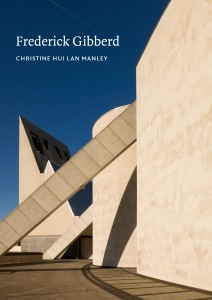 This book gives, for the first time, a comprehensive account of the works of architect, town planner and landscape architect, Sir Frederick Gibberd. At the beginning of his diverse and far-reaching career, Gibberd was a pioneer of modern architecture in Britain – he designed Pullman Court in 1933, one of the first International Style buildings in the country. His association with the Modern Architectural Research (MARS) Group and his influential publications put him at the forefront of the establishment of modern architecture in Britain. During the 1940s, however, Gibberd’s interest shifted to the aesthetics of English market towns and Georgian streets; his diaries reveal a belief that the Modern Movement had ‘done its job’, allowing architects to consider the visual, rather than functional qualities of materials, colour and texture. After the Second World War, his master plan for Harlow New Town and his influential book Town Design conveyed his growing interest in ‘visual planning’; he had become an international authority on the subject. His later projects, Liverpool Metropolitan Cathedral (1967) and Regent’s Park Mosque (1977) for example, also reflected his aesthetic approach, prompting many to question his role as a key figure in the history of modern British architecture. This reassessment of Gibberd’s work demonstrates, that with his visual approach to the design of buildings, spaces, townscapes and landscapes, Gibberd was at the forefront of the development of a softer, distinctly English form of modern architecture and town planning, thus, reaffirming his role as a significant architect of the 20th century. Christine Hui Lan Manley is an architectural historian with an interest in post-war housing and planning. She works in architectural practice, specialising in housing design and layouts and teaches architectural history and theory at the Leicester School of Architecture. Manley had condensed this varied and complicated career into a most readable and engaging book. ... rather astonishingly his body of work has rarely been collected together in book form so the arrival of this publication, the latest in a fine collaboration between Historic England, The C20 Society and RIBA Publishing, is very welcome. ... This book, however, is the perfect overview of a body of work rarely equalled by a British 20th century architect.